While our technicians are able to repair and install all brands of equipment, we have found the products listed on these pages to be the most reliable, easy to maintain, and cost-efficient. The Zodiac family of products, including Jandy and Polaris, in particular, we have found to be exceptionally reliable for both operation and manufacturer support. As such, you will see they are our recommendation for pumps, filters, controls, salt generators and automatic cleaners. Also, as a member of the Zodiac Pool Pro Network, we can provide extended warranties on all Jandy, Polaris, and Zodiac products and parts. Links to each of the manufacturer websites are included, or you can contact us for more information or to schedule for a FREE estimate. The pump is the heart of a filtration system, and should always be properly sized to the hydraulics set up by the original pool builder and features of the pool. Certain situations require specific types of pump, but for most pool fitration, we recommend the Jandy FloPro single speed pump. 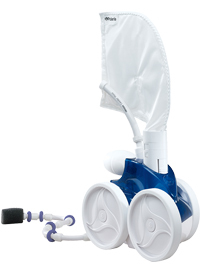 The Jandy FloPro pump offers the best of all worlds in a pump. 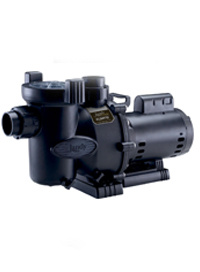 It is one of the quietest pumps in the industry, provides plenty of power for any size pool, and is easily maintained. The clear plastic trap lid makes it easy to see if the basket needs to be cleaned, and the union plumbing on the intake and discharge make it easy to remove for maintenance. All of this at an affordable price. 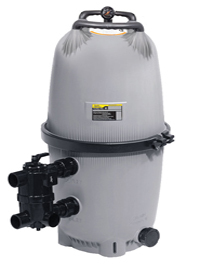 When looking for a filter, there are several factors that you must consider in deciding between a Diatomaceous Earth, Sand, or Cartridge filter. While each has their pros and cons, we recommend wherever possible the installation of a Diatomaceous Earth filter, for its ease in backwashing and superior filtration compared to the other two. Our particular favorite is the Jandy DEV Diatomaceous Earth filter coupled with the Jandy exclusive Neverlube backwash valve. With this combination, you are getting the best quality of filter and a design of backwash valve that requires little-to-no maintenance. When considering heating a pool, the options available to the pool owner are heat pumps or gas-fired heaters. 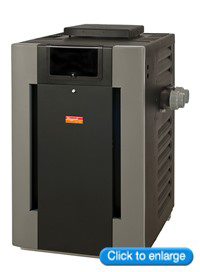 While heat pumps are a more affordable day-to-day option, they are limited in their abilities in our particular climate. Colder ambient temperatures in the early Spring and late Fall make them virtually ineffective, so for pool owners looking to extend their season, we always recommend either Propane or Natural gas-fired heaters. Our specific recommendation is the Raypak RP digital heater. The Raypak digital heater utilizes a simple and a long-tested design to provide heating for pools of all sizes. The digital display allows for easy programming and will self-diagnose many problems within the heater for faster troubleshooting and maintenance. 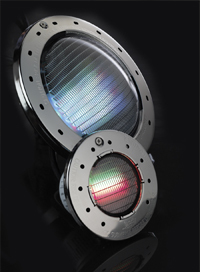 As a division of Rheem, Raypak focuses almost exclusively on the production of heaters, and the reliability of their product is a testament to that. Often, pool equipment is far from the house and pool, or is just an unpleasant place to go to in order to turn pieces of equipment on and off, or set heating temperatures. With control systems, you can eliminate that necessity by controlling everything from a simple keypad, either wired and mounted in the house, wirelessly using a waterproof controller, or from your own computer or smart device. With many variations available, any pool can be equipped with a control system to control the simplest of on-off functions to more complex lighting, heating and spa schedules. 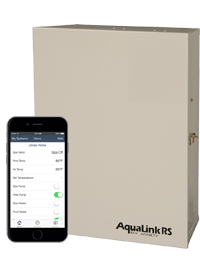 When considering a remote system, we recommend the Jandy Aqualink RS system along with the iAqualink control to allow for controlling of everything from your computer or smart device…ANYWHERE. Their web interface and app are easy to understand and control, and with many options offered in the Aqualink family, you can find a perfect configuration that works for your pool without paying for any overkill. When searching for an automatic cleaner, there is no better name out there than Polaris. While they, and others in the industry, make electric cleaners that can be plugged into an electrical outlet, suction cleaners that can be put into a suction line or skimmer, and return side cleaners that attach to a return line, we find the most reliable and effective cleaners in the industry to be the pressure-side cleaners powered by a separate booster pump. Within this style of cleaner, the particular cleaner that we recommend is the Polaris TR35P along with a Polaris PB-4 booster pump. The design is similar to the tried-and-tested Polaris 380 model that has been around for years, with an upgrade in some critical components and a sleeker look. With 4-5 hours of operation each day, it’ll keep your pool clean of leaves and small debris. NASA-based technology was used in creating the Caribbean Clear Water Treatment System as an alternative to Chlorine in swimming pools. The Caribbean Clear introduces Copper and Silver ions into the water to kill algae and bacteria. Copper is known as the best algaecide, keeping pools algae-free even during the hottest of months. The system is completely automated, running when the filter pump is operating and controlled by a simple turn of a knob. The advantages of the system are softer, more enjoyable water; lower chemical costs, as chlorine sticks and algaecide are no longer needed; and easier maintenance of the pool. 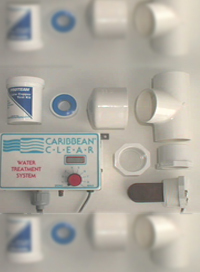 Pooltek is the exclusive distributor of the Caribbean Clear System, so please call if you have further questions. 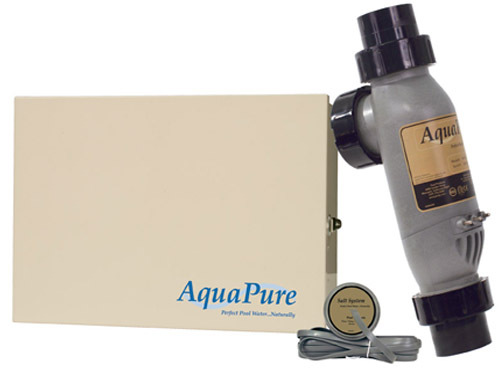 Salt chlorine generators are a rapidly growing alternative to standard chlorination for your swimming pool. Originally made popular in Australia, over 40% of the new in-ground pools built in the US now use this technology. But don’t be mistaken, Salt pools are still chlorine pools. With chlorine generators, standard table salt (Sodium Chloride) is converted into free chlorine to sanitize your pool water. During the sanitation process, the chlorine kills bacteria and then reverts back to Sodium Chloride, thus restarting the whole cycle, eliminating your need for chlorine sticks, and considerably lowering your chemical costs. In addition, the introduction of salt to the water gives it a softer feel on your skin for an improved quality of swimming. Of the salt chlorine generators in the industry, we recommend the Jandy AquaPure system due to its simple interface and ability to easily work in conjunction with the Jandy control systems, for an entirely automatic pool experience. 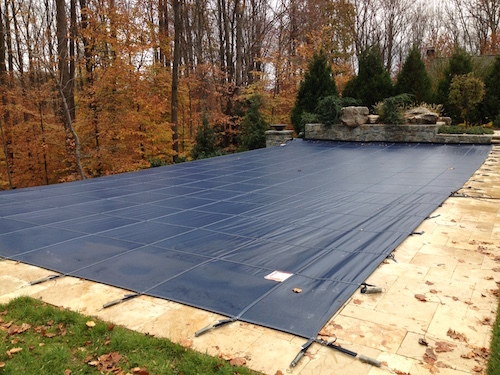 With a Meyco or Loop-Loc mesh safety cover, you won’t have to worry about your pool all Winter. 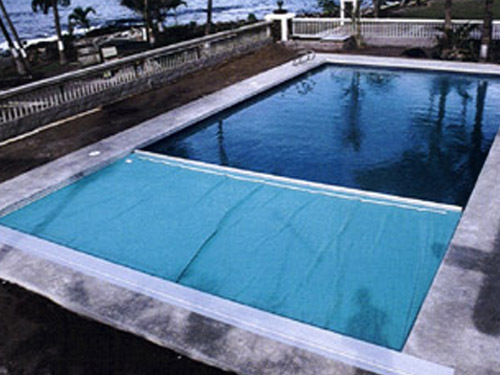 The mesh material allows water to pass through to the pool beneath, so you no longer need to fuss with cover pumps and raking the muck from the top of a cover. The spring tight design of the cover makes it safe for children and pets to walk over…so safe, even an elephant can walk on it. Meyco and Loop-Loc are industry leaders and both are names you can count on. Protect your children, lower your heating costs, and minimize your maintenance necessities with the Aquamatic Hydramatic Autocover. With the simple turn of a key, you can attractively cover your pool, keeping leaves and children out, while insulating the water beneath. The problem-free Hydramatic design as well as the industry-best 20-year limited warranty makes this an excellent long-term investment for your pool. Choose from eleven standard colors or seven designer colors for the cover fabric. In order to save on heating costs and maintain the warm temperatures inside your spa, all spas should be fitted with a custom insulating spa cover. Depending on the durability of the cover you desire, you can install either a standard vinyl cover like those made by Merlin Spa Covers or for extreme durability, an aluminum cover made by Be Lite Spa Covers. 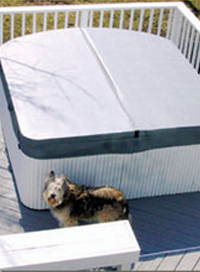 As a dealer for both manufacturers, we can measure, order, and install your new spa cover for you to guarantee the perfect fit. We can all do our part to create a greener environment, even in our swimming pools. With the introduction of new, greener options, such as variable speed pumps, which can save up to 90% in energy costs, and LED pool lights, which save up to 86% compared to standard incandescent lights, there are options out there. Contact us if you’d like to consider either of these, or would like to know of other green options for your pool. Some even come with money saving rebates from the state for making the switch!